I SAW the shot of a Brush/Wabtec-built battery loco for the Hong Kong Metro in your February issue (RE249). It reminded me of this photo taken in 1989 of one (No. L60) of the previous batches built by Brush for Hong Kong. 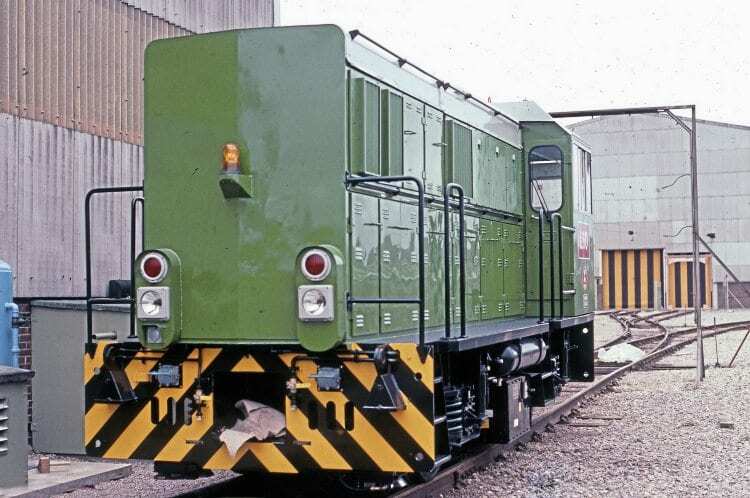 These 1500V DC locos are used to haul maintenance trains. Phase 1 (Nos. L51-55) were built in 1983 and Phase 2 (Nos. L56-61) in 1989. Phase 3 (Nos. L62-82) followed in 1996, but these were slightly different as the pantograph was moved to the opposite end to allow an air conditioning unit to be fitted above the cab. Phase 3 locos were also more powerful than the earlier units. Read more letters, reviews, news and features in the April issue of RE – on sale now! Previous Post:Performance: 0 to 60!